Sale marks highest ever total for house’s spring jewellery auction. 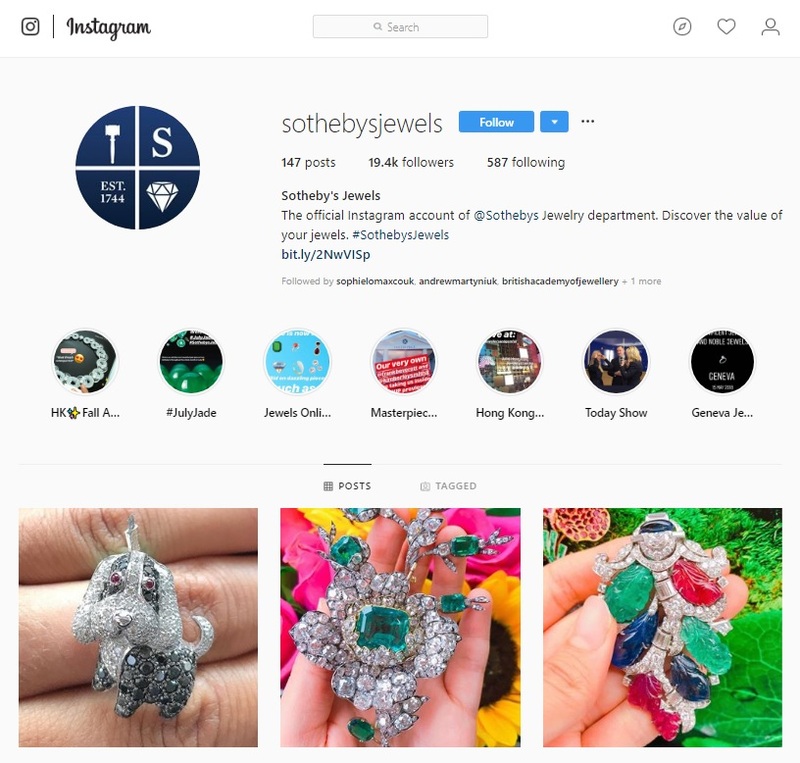 Sotheby’s sale of Magnificent Jewels, which took place in New York last week, scooped a total £27,113,717, with 88% of the lots sold including a blue diamond ring by Tiffany and a Cartier pearl necklace. 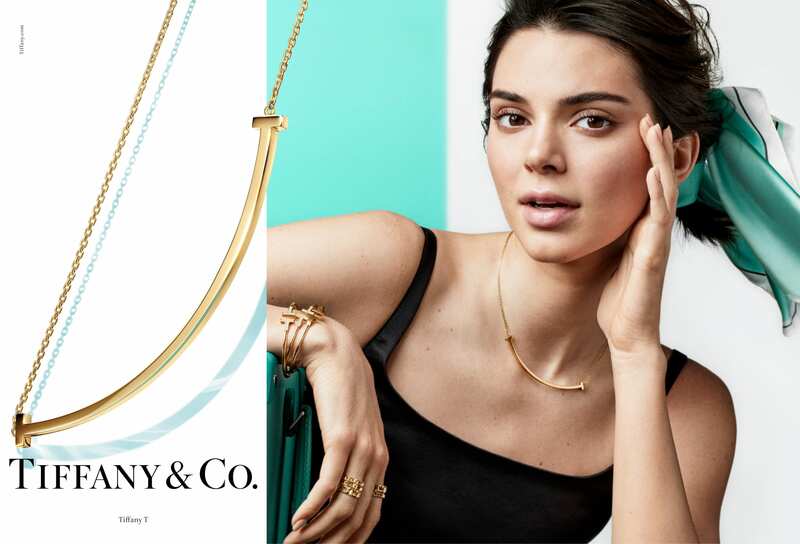 The sale marks the highest-ever total for a spring sale of jewellery at Sotheby’s New York, topping last April’s then record result of $39.4 million (£24.3m). 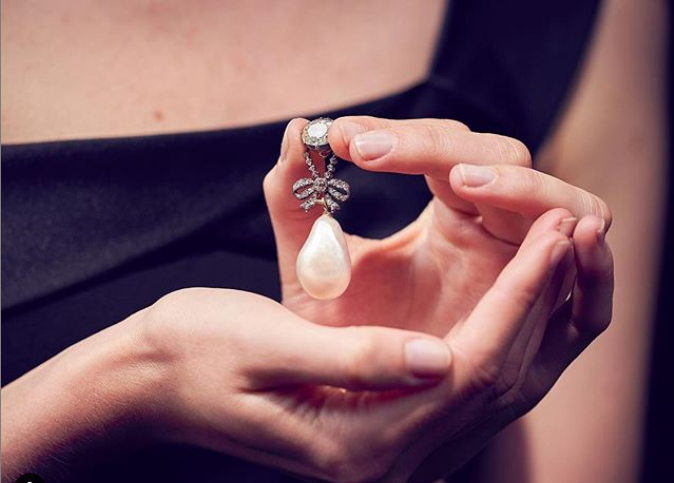 The auction included estate jewels, white and coloured diamonds, precious gems and natural pearls, with seven pieces bringing more than $1 million alone (£619,200). 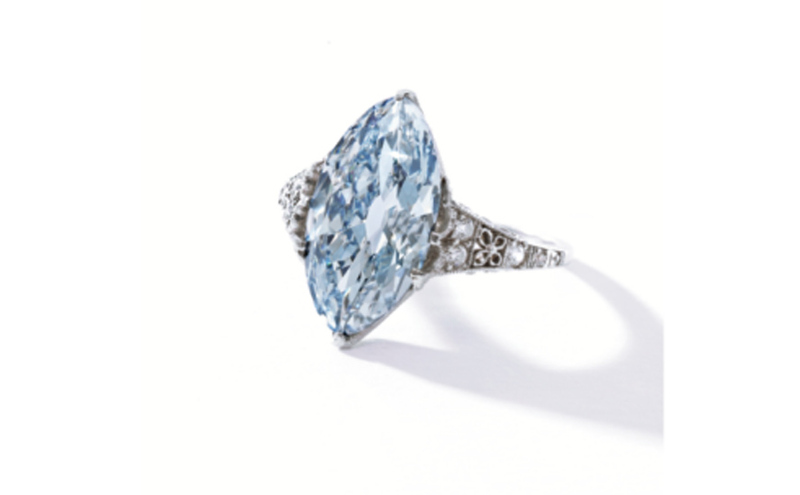 Lots sold included a marquise-shaped fancy blue diamond ring by Tiffany & Co., circa 1900, weighing a total 3.54 carats and sold for £1,528,249. The second highest-selling lot was a cushion-shaped step-cut fancy vivid yellow diamond ring weighing 23.02 carats. 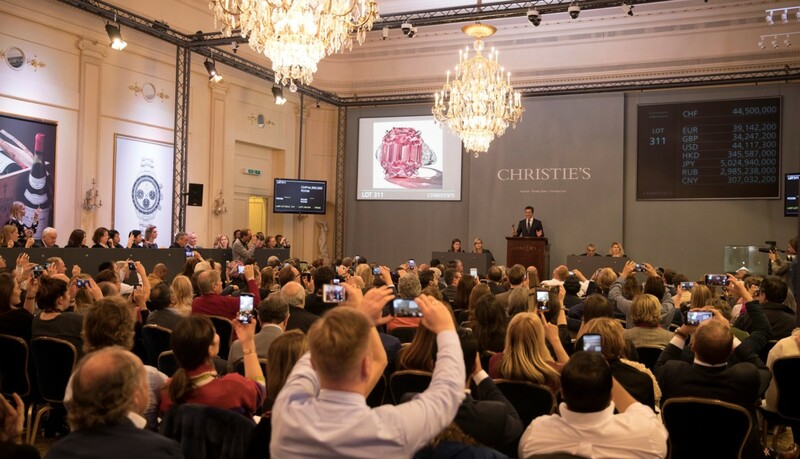 It was sold for £1,176,711 to a private Asian buyer, while the third highest selling lot, a pearl necklace by Cartier, sold for £825,173 to an anonymous bidder. 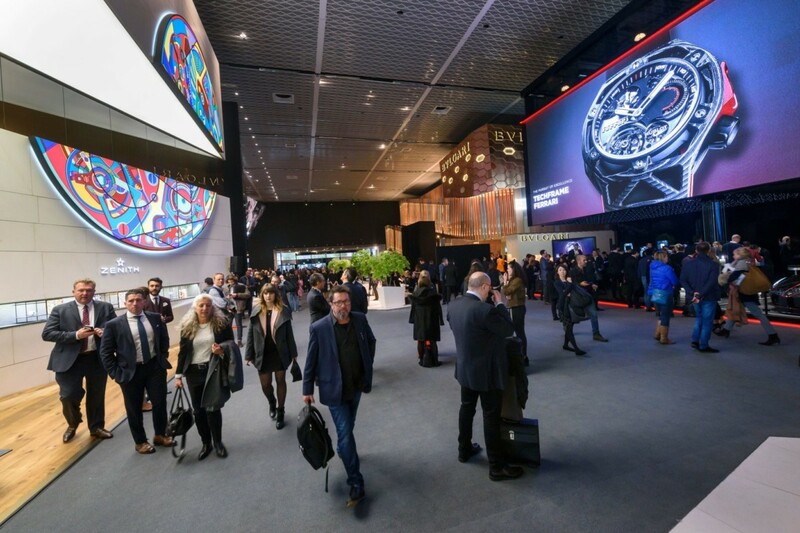 Lisa Hubbard, chairman of North and South America Sotheby’s International Jewellery Division said: “The salesroom yesterday was electric, and exuberant bidding led to another record total for our jewellery sales in New York. 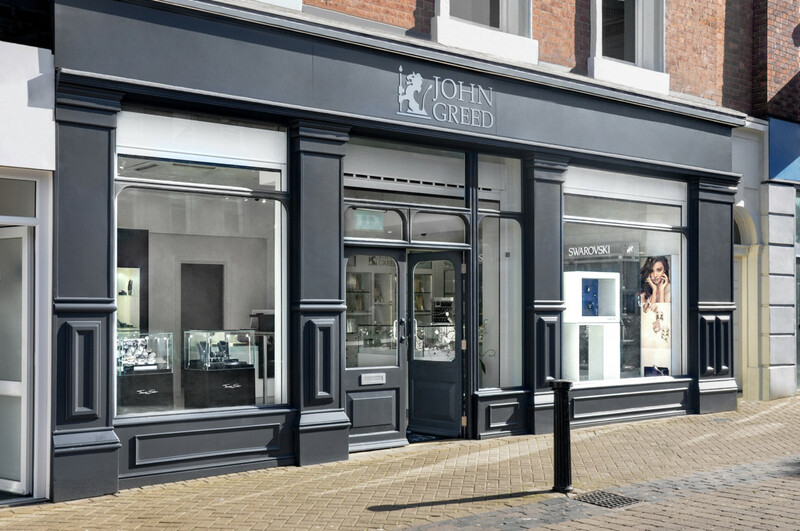 Hubbard added that the strength of auctions and the gorwing high prices that jewellery auctions command is a result of “brining jewels to the light of the day” after years in private collections or tucked away in safes. 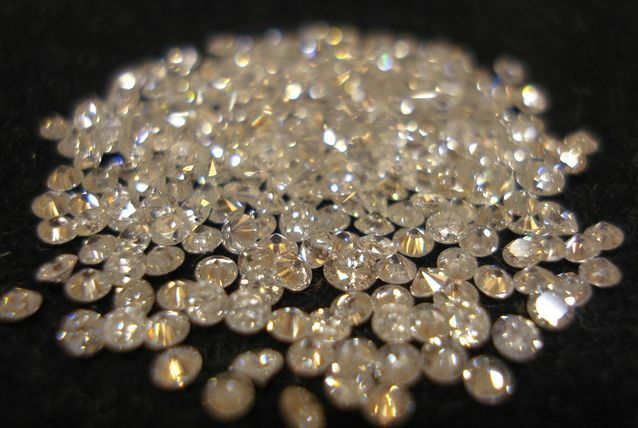 Gary Schuler, head of Sotheby’s jewellery department in New York added: “Both white and coloured diamonds brought strong prices yesterday, led by a Fancy Blue Diamond Ring, Tiffany & Co. that sold for an incredible total price of $2,434,500, reaching far above its high estimate of $500,000. 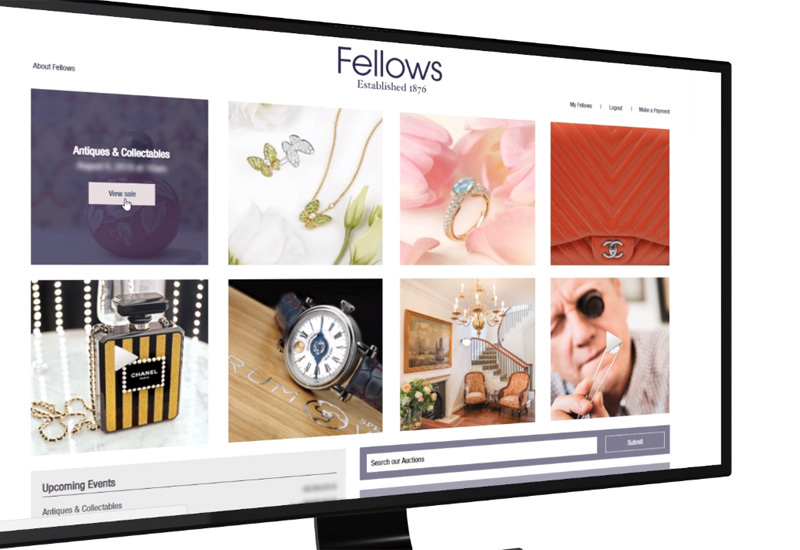 Sotheby’s has a number of impressive jewellery sales lined up including its auction of Magnificent Jewels and Noble Jewels in Geneva this May, including the personal collection of jewellery designer Suzanne Belperron, and the historic Beau Sancy Diamond, which it anticipates “will be an exciting event for the worldwide market”.